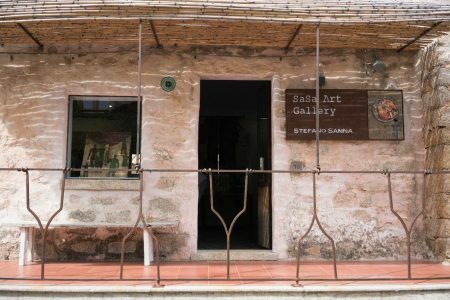 The season opening of the SaSa Art Gallery in San Pantaleo/Sardinia, Italy, is scheduled before eastern! Please check this page for final information coming soon. Stefano Sanna, the pioneer of Metacycling Art, developed the new 2019 art work collection. The so called “minis” are miniature originals (unique) sized 20x20 cm (8x8 inch) which can be stand alone for small wall spaces and also can be composed as installations of 25 pieces to a 100x100 art work for larger walls.